Vertical hanging compartment plus storage compartments. Strong welded door frames with reinforced doors and locks give long life. Supplied with cylinder lock and 2 keys. Please note: Sloping tops must be ordered at the same time as lockers, they cannot be retro-fitted. A combination of shelving and hanging space. 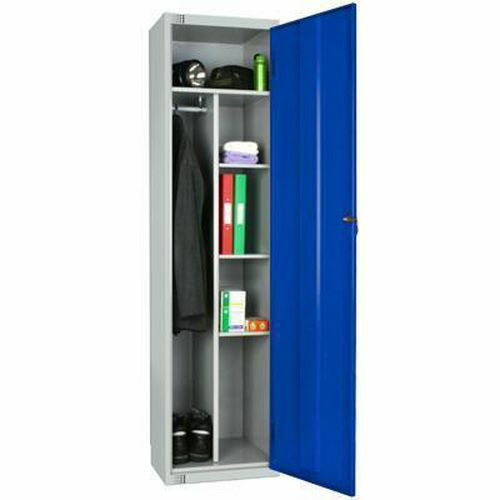 Ideal for the storage of personal possessions and equipment.